I’m just starting to get over the worst cold I’ve had in years. It’s also the first cold I’ve had in years. I used to get sick with every change in the season. It was like clockwork. I’d be down for two weeks, completely miserable, at least twice a year…that’s a full month of misery out of every year. Then I made some simple changes. My father always says that an ounce of prevention is worth a pound of cure. I totally think he is the wisest man on Earth. As it turns out, he actually lifted that quote from Benjamin Franklin. Still, my father is a very wise man. An ounce of prevention is definitely worth a pound of cure. I say this with confidence because the cold I’m getting over is honestly not nearly as bad as colds I’ve had in the past. I say this with confidence because as soon as I stopped taking the preventative measures I’ve stayed true to for a long time, I got sick. 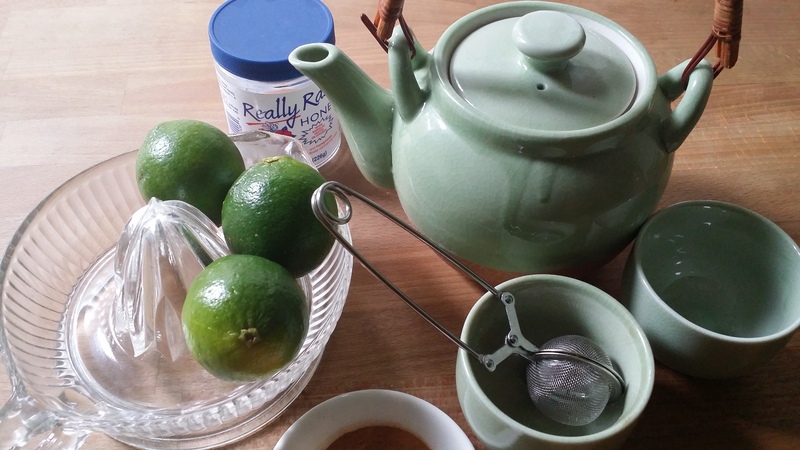 Super simple lifestyle changes and you can pretty much kiss colds goodbye. 1 Keep Your Hands Away from your Eyes, Nose, Mouth, and Ears. This is the main way cold and flu viruses enter your system. Those hand sanitizers that are so popular just don’t work. End of story. Picture your doctor examining another patient then giving their hands a quick rub down with hand sanitizer before coming at you with those unwashed hands. Ew. I can’t stress this enough. Water really keeps your body’s different systems functioning full force. I’ve been drinking at least 8 glasses of water a day for almost a year, and it’s changed my life. I always add some lime juice to my tea or water. It’s not really about the flavor, I just feel like limes pack more of a punch than lemons. Is this backed by science? I have no idea. That’s it. Four really simple habits that seem like no-brainers, until you become aware of how often you touch your face… with unwashed hands… while thirsty… without any limes in your refrigerator at home. Sounds silly, but it’s so true. I made the mistake of relying mostly on those hand sanitizers and slacking on drinking water for a whole week before I got this cold. Sigh. Lesson learned. Thanks so much! I hope that these tips help you and your family out. Colds are the worst! I am definitely going to try the lime thing. They are so underrated. Lemons get all the hype!